Makes 24 servings, 1/2 cup each. Cover baking sheet with foil; spray with cooking spray. 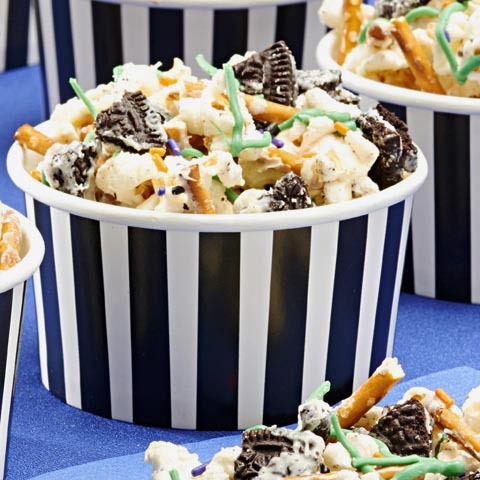 Combine popcorn and cookies in large bowl. Add half the melted chocolate; toss until popcorn mixture is evenly coated with chocolate. Add pretzels and remaining melted chocolate; mix lightly. 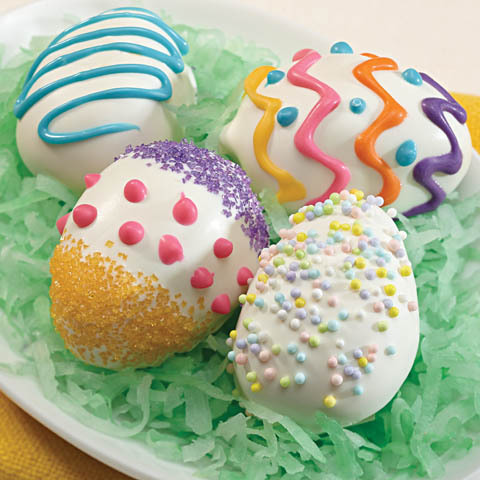 Spread onto prepared baking sheet; top with sprinkles. Microwave candy coating wafers in microwaveable bowl on HIGH 45 sec. ; stir until completely melted. Drizzle over popcorn mixture. Refrigerate 5 min. or until chocolate and candy coatings are firm. 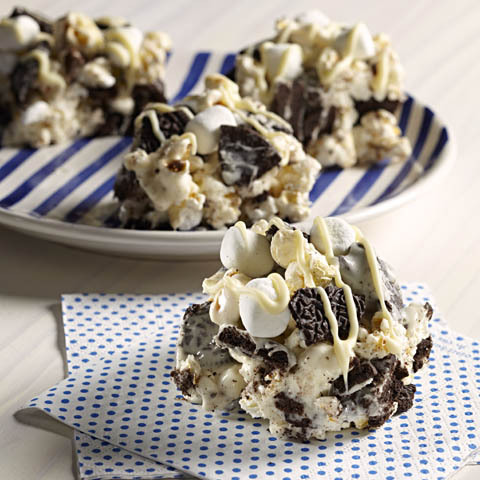 Break into bite-size pieces. 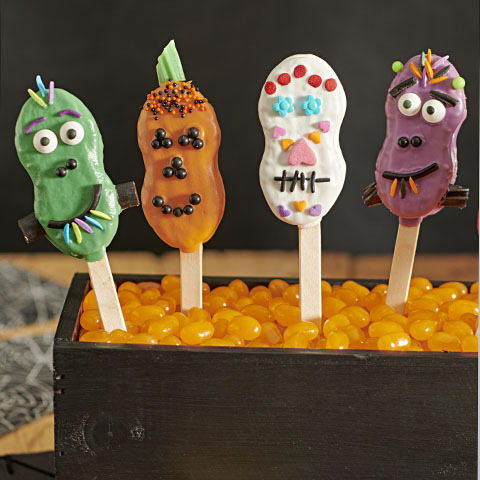 Jazz it UpFor a ghoulish look, sprinkle coated popcorn with 1/4 cup mini candy button eyes along with the sprinkles.